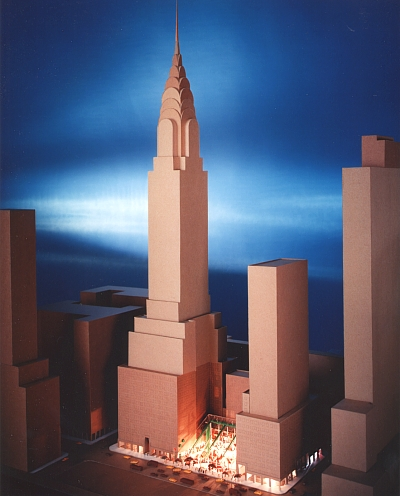 When the famous Chrysler Building in New York City was owned by the Massachusetts Mutual Life Insurance Company, its development arm wanted to create a food-related retail center to serve the local workforce. Ahearn Freedenfeld & Associates, a previous partnership, was retained by Mass. Mutual to achieve this goal. 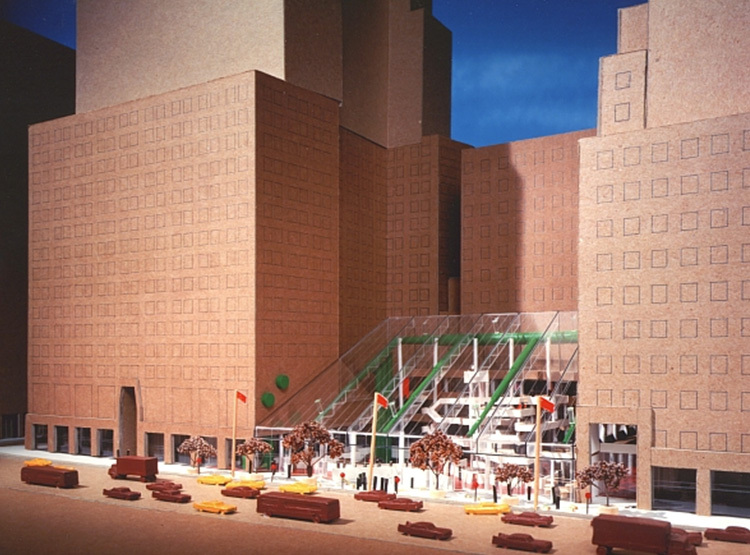 The resulting design was a spectacular food court galleria under glass, fronting on 5th Avenue, between the Chrysler Building and the Chrysler East Building. This site was then occupied by several low-rise townhouses. The multi-level Chrysler Court was filled with restaurants, eateries, dining areas, picnic areas, escalators, elevators, courtyards, balconies and bridges, all within a climate-controlled environment that inter-connected the Chrysler Building with Chrysler East.